Preparations for the Striking competition began many months before June 1st 2013 with tower captains trying to get enough ringers to show an interest in taking part in the competitions. The Stretham Bell ringers were the only team to enter a team in the call change section of the District six bell competition. And it was only in the week immediately preceding the competition that the teams from Swaffham Bulbelck and Histon were completed and agreed to take part, both after heavy lobbying by the tower captains. The Stretham ringers continued preparation for the event; Ruth Bramley created a picture quiz, a crossword and baked bell shaped biscuits. Peter Binns organised the tea and coffee and the refurbished handbells were available for use. 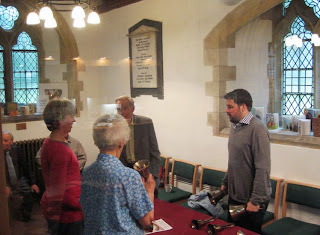 The Stretham ringers had previously arranged fund raising for the refurbishment costs of these bells. As there was only one team entered in the call change competition, Phil Bailey organised a scratch band “to give the judges something to do” . The tower captains took part in the respective draws to decide the order of ringing. The Scratch band rang first in the call change competition and managed a respectable test piece. The local band had less need for practice and made a good attempt at the test piece. When the call change competition was completed the Over band rang Plain Bob doubles and set the standard for the method competition. Swaffham Bulbeck rang second and also rang Plain Bob doubles. Histon rang third with Grandsire doubles. And Fordham rang fourth with Plain Bob doubles. 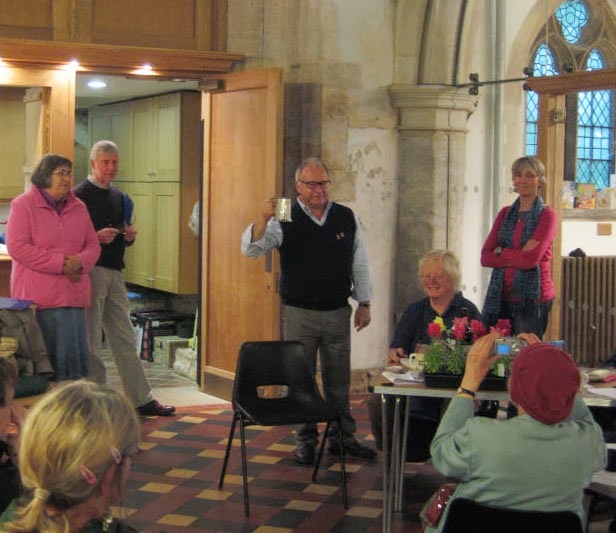 Whilst the striking competitions were taking place ringers and friends enjoyed Handbell ringing, a “Spot the tower and spot the ropes” competition, a crossword and plenty of tea, coffee, biscuits and cakes. Some of the ringers and friends spent the afternoon enjoying the sunshine as well as good ringing. 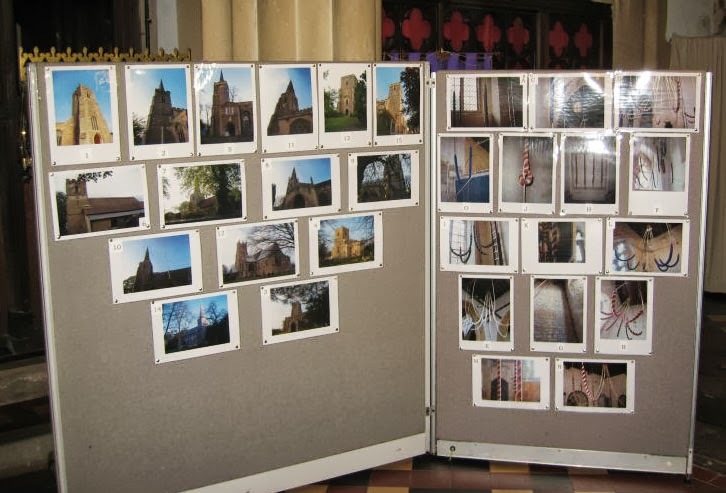 Others tried the photo competition compiled by Ruth and Robert Bramley. Some exterior tower views were easy but others were more obscure. The hardest part was identifying the bells ropes from the various towers! Some people had difficulty with their own tower...-and the unringable towers baffled most people. Phillip and Sheila George from the Huntingdon District judged the competitions from the church yard. At the short business meeting after the striking competition, and whilst the judges were deliberating, two grants were made from the district bell fund; £200 to Histon towards the refurbishment of their handbells and £100 towards the Stretham Handbell refurbishment. Sean Langton from Histon was ratified as a new member and the forthcoming events were detailed by Janet Garnett, the district secretary. Once the business meeting was completed, the judges gave their assessment of the competitions saying they were pleased with the quality of both competitions. The scratch team (with 26 faults) scored fewer faults than the Stretham team (with 53 faults) but, because a scratch team can not win the trophy, Peter Binns was awarded the Call Change Tankard. Phillip George stated that he and Sheila initially placed the method ringing bands in different orders, but had agreed on first and last places and took an average for the other places. After some constructive and helpful comments, they announced the results: Histon first with 11 faults, Swaffham Bulbeck and Fordham joint second with 17 faults and Over were last with 23 faults. David Richards was presented with the Winners shield for the Histon team and Edie Robinson was presented with the wooden spoon for the Over team. 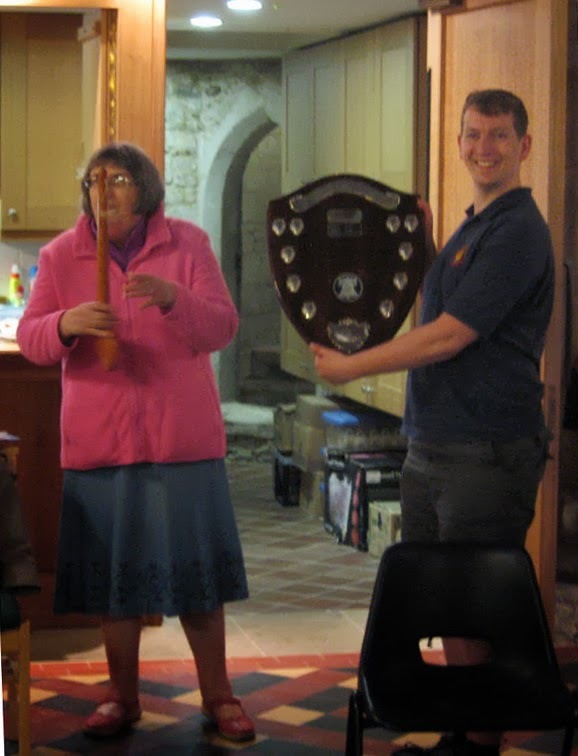 Our thanks go to the Stretham Ringers for organising the venue, refreshments and competions, to Janet Garnett and Phil Bailey for organising the striking competition, and to Philip and Shelia George for judging the competition. 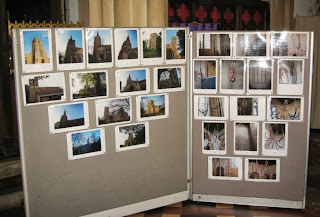 Report by Geoff Grayton, photos by Ruth Bramley.